J.J. Abrams is "terrified" of the reaction to 'Star Wars: The Force Awakens', according to Steven Spielberg. The 49-year-old director has helmed the latest movie in the money-spinning franchise and Spielberg has admitted his friend is fully aware of the importance of the film to Disney, who acquired Lucasfilm in 2012. Asked what he thought was currently going on in J.J's head, Spielberg told CBS: "Oh, J.J. is terrified. "There's a lot of pressure on J.J. to start paying Disney back for, you know, the franchise they bought from George Lucas." 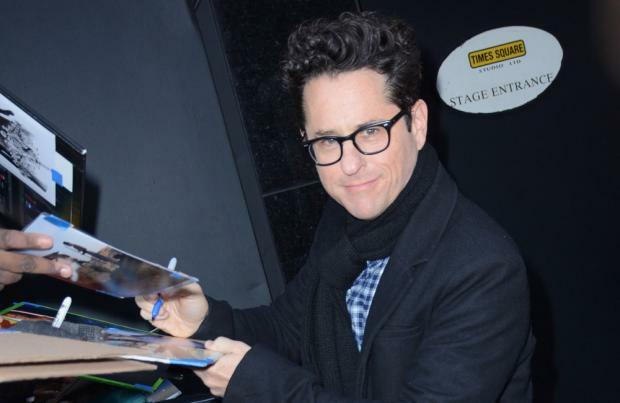 J.J., meanwhile, has admitted he expects 'Star Wars: The Force Awakens' will have its critics, explaining that some people are simply determined to find faults in the work of others. He said: "You just know that there will be people, no matter what you do, that will have issues with some aspect. "You just know there is some number that is being thrown out there that will not be hit." Recently, one of the movie's main stars Daisy Ridley revealed the director almost made her cry on the first day of shooting. She explained: "I was petrified. I thought I was gonna have a panic attack on the first day. [I remember thinking], 'I can't do it.' Because JJ, he probably doesn't remember telling me that my performance was wooden. "This was the first day! And I honestly wanted to die. I thought I was gonna cry, I couldn't breathe. And there were so many crew there, because obviously all the creatures [had stand-ins], and there were loads of extra crew making sure everyone was safe because it was so hot."